We’re honored to be the #1-rated doctor’s office in our state. Shoreline Family Chiropractic offers natural, effective health care by a team of friendly professionals who put you first. We understand how important it is that each of our patients has an excellent experience in our office, marked by impressive results and the ultimate wellness experience. As you enter our chiropractic care center, you’ll be treated to upbeat, happy music playing in our positive, energetic environment. You’ll be warmly greeted by one of our staff members, and your children will be invited to play in our Healthy Kids Corner while you sit and relax. Welcome to our office! Our office is compassionate and heart-centered. Do you have a problem that we can help? We’re here for you. Contact our office today for a convenient, no-charge consultation! Your second visit will take about 15 minutes. 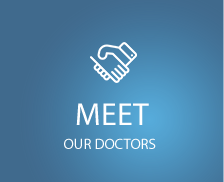 During this visit, Dr. Paterna will deliver a report of your findings, which is a thorough review of your examination, scan and X-ray results. This visit will conclude with you receiving your first gentle and specific chiropractic adjustment. Your third visit will also take about 15 minutes. Dr. Paterna will ask for some feedback following your first adjustment, and will then make recommendations for a customized care plan to get you out of pain and on the road to wellness. Regular visits only take between 5-10 minutes. We’re very respectful of your time, and promise not to subject you to long waits. 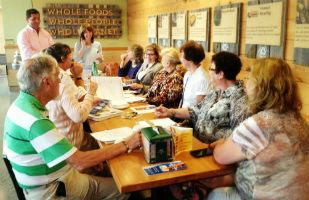 Our new patients have an opportunity to participate in one of our weekly New Patient Orientation classes. We’re very education-oriented and find that knowledge is empowering and necessary as part of the healing process. We recommend that you see us regularly. The frequency of your visits can fluctuate, depending on the level of your health. Many people easily recognize that consistent chiropractic helps them to feel and function better. If it makes you feel good, why stop doing it? There’s no requirement that you continue, but we encourage you to make the choice that’s right for you. Your care is always your choice!